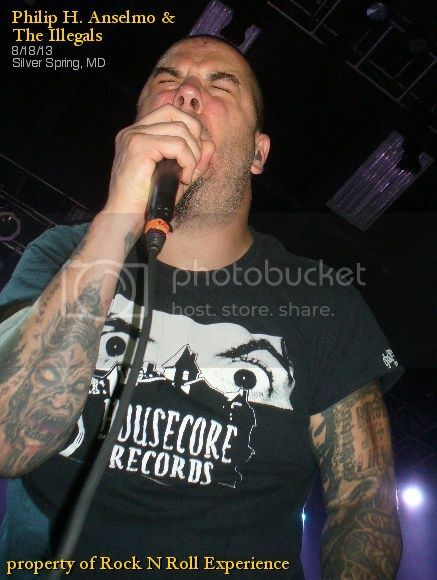 Phil Anselmo isn’t a cat but he definitely has 9 lives because he’s been through hell and back quite a few times....the man, the myth, the former voice of Pantera released his first ever solo record in 2013 and the record is comparable to “Reinventing the Steel” era Pantera with chunky riffs, fast beats & intricate guitar solo’s which all resemble the later years of Pantera. Phil’s first ever solo tour hit the Maryland area on Sunday, August 18, 2013 and I won’t beat around the bush, there were not that many people at this show! Doors opened at 7 PM and the first band went on at 8 PM.....what I kept thinking was that I hope more people show up but sadly by the time Phil took the stage a little after 10 PM there were just around 250 people in attendance which made the place look empty considering the entire upstairs was shut down & the floor/pit area was far from packed! The first act to play were called Author & Punisher....the act was NOT a band at all but rather 2 guys with a unique keyboard rig set up and the music they performed was a mix of darkwave coupled with metal & industrial. The sound is best described as dark & heavy dance music that DID NOT fit this show at all. During Author & Punisher’s set most of the crowd stood there looking blank into the air, talking to their buddies, drinking beers, or watching the video screen rather than getting off on the music being played. Warbeast were 2nd on the bill and they actually made the crowd move a little because they were a real metal band. 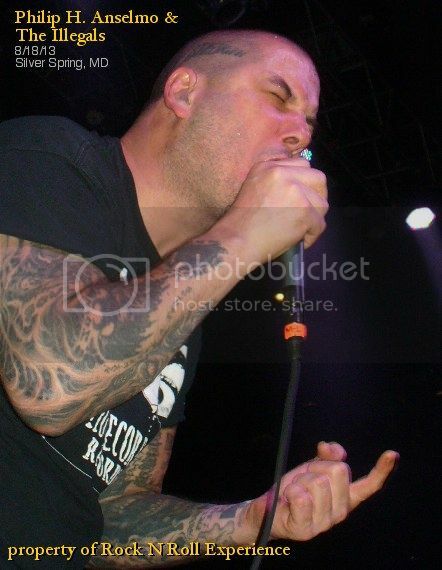 The highlight of the Warbeast set was when Phil Anselmo joined the band for a Rigor Mortis cover which was dedicated to Mike Scaccia’s daughter who was at the show. Phil & The Illegals took the stage shortly after 10 PM and they sounded amazing with a style that was very Pantera influenced. Phil looked clean & healthy onstage and he joked several times that the crowd didn’t need to applaud after every rant he made because it wasn’t a Skid Row concert! 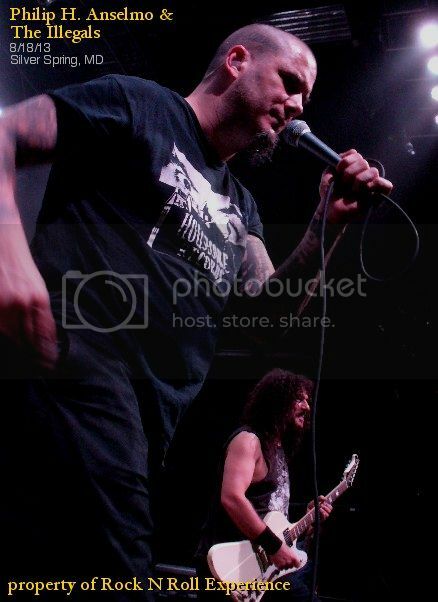 At one point Phil joked that perhaps his band would be as big as ‘tallica one day...he said it a few times making an obvious Metallica joke and throughout the entire show Phil joked with the crowd, had fun and this was a return to the old school Phil Anselmo because at one point in Phil’s career his performance onstage became sloppy & bad due to his substance abuse but with Phil cleaned up his performance has gotten alot tighter! Mixed in the set were a few Pantera covers, an Agnostic Front cover, an Arson Anthem cover & they closed with the Lowenbrau theme song. Phil joked that all 85 people in attendance might be the best crowd of the tour....he emphasized “might” jokingly and it was awesome to see Phil give a solid performance despite a small turn out....many bands would have played an abbreviated set with such a small turn out but Phil played a full set and when the show was over he took to the side of the stage to shake hands & sign autographs for his fans.